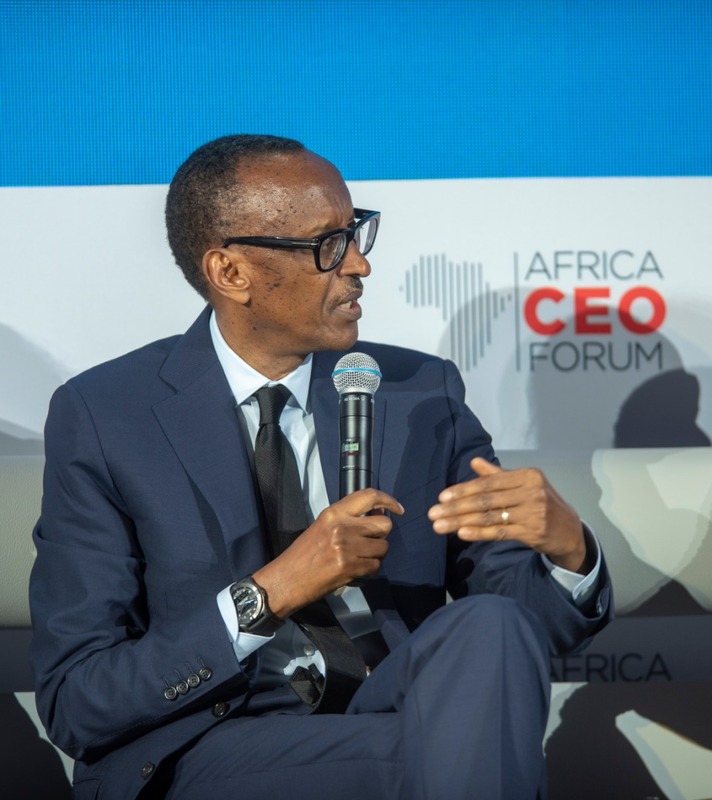 Uganda continues to politicize the ongoing integration in Africa – particularly land locking Rwanda – its immediate neighhbour, President Paul Kagame told a business forum in the capital Kigali on Monday. Kagame was speaking at a panel on economic integration alongside President Sahle-Work Zewde of Ethiopia, Philippe Le Houérou, Chief Executive Officer of International Finance Corporation (IFC); Naguib Sawiris – Chairman of Orascom Telecom Media and Technology Holding S.A.E and Abdulsamad Rabiu – Chairman and Chief Executive Officer of BUA – a Nigeria-based leading Foods and Infrastructure Conglomerate. Close to 2000 business leaders drawn from across the continent are currently discussing how to create one single market for the continent. However, President Paul Kagame who is leading reform of the African Union, said that Rwanda’s neighbor Uganda is sabotaging the process. For instance, he said that for the past two years, Rwanda has engaged Uganda over the issue of Rwandans who are being ‘illegally detained’ in unknown places in Uganda, traders’ merchandise being confiscated in the same country and other issues, but in vain. On the issue of trade, Kagame said: “I am sure some of the traders affected are in this room. We had containers leaving Kigali going to Mombasa (Kenya). You have to go through Uganda going to Mombasa. Actually the irony here is that both of us are landlocked. But for us we face double the problem of being landlocked because Uganda land locks us,” Kagame said referring to containers of minerals that were leaving Rwanda for Mombasa and were held in Uganda for five months despite having all revenue clearances. Mid this month, Uganda accused Rwanda of closing its border – claiming it has affected heavy trucks from crossing into Rwanda. But government in Kigali has continuously explained the issue was renovation at Gatuna border that currently operates at only 30 percent. In the process, Rwanda issued a statement announcing other alternative routes as construction works in Gatuna are being finalized. 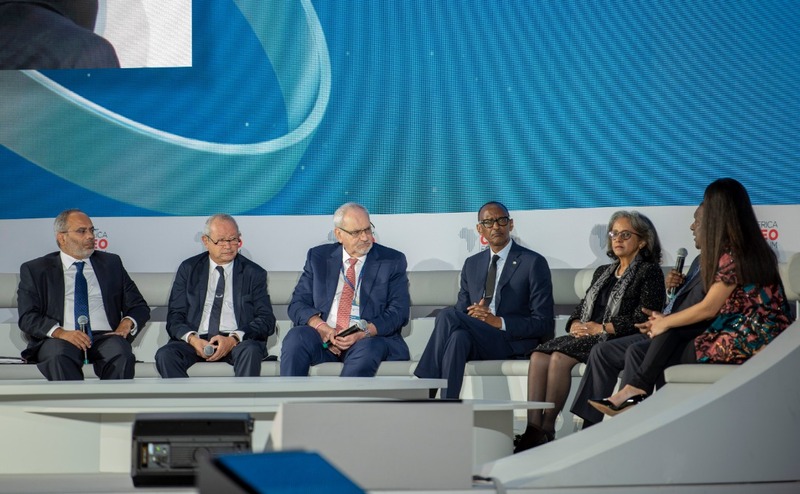 President Kagame narrated to business leaders at the forum that: “For what is happening at the border, we have three boarder points that connect us with Uganda or to Uganda. With all these issues, Kagame told business leaders, that he has, in many occasions, personally engaged his counterpart President Yoweri Museveni to show him how the trade is being affected between the two countries. Kagame reminded delegates that his latest engagement with President Museveni was in March last year – shortly after Kigali witnessed 44 countries signing the historic African Continental Free Trade Area. Expectations are high within Africans that the Africa Continental Free Trade Area (AfCFTA) which is expected to come into force in July this year, could even hit $100 Trillion market with 4 billion consumers before end of the century. President Museveni did not appear at the signing of the March 21 agreement which also involves the Protocol on the Free Movement of Persons. He instead delegated Foreign Affairs Minister Sam Kutesa. 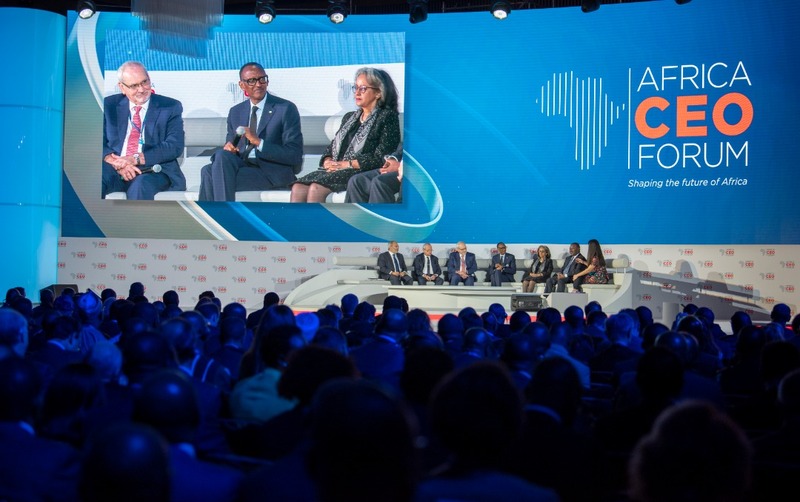 Speaking at the panel, Kagame revealed that after the signing of CFTA, he went to Uganda to meet President Museveni and address to him how the issue between the two countries is affecting big projects on the continent. “When we had the CFTA summit here, those who followed the news two days after I went to Uganda. I went to see the head of State, the President of Uganda to say what is this…why is this happening? And I actually had the opportunity to brief the leadership there the matters as were discussed in the summit. I said there are big things here being discussed underway. But the two countries are caught up in these things that we can’t even justify…why we can’t work together so that we could get rid of them so that we even benefit from these big things that are being discussed at the continental level. That was the reason I was visiting the country,” Kagame told delegates. During the session, Kagame was asked on skepticism that the CFTA may not work. To him, “CFTA does not solve problems until people make it work. We don’t expect to put a mechanism and expect it to work, it needs an effort that people will have to undertake to make it work,” he said. The President reminded delegates that the key factor of making things work requires a positive mindset. While AfCFTA marks a momentous milestone for Africa, preliminary findings of the upcoming 2019 African Regional Integration Index, released at a Conference of Ministers in Morocco on Saturday, indicate that regional integration in Africa remains low.